Mythology & Chart Analysis takes a deep dive into the planetary archetypes and the many different ways these can manifest in a birth chart. As we study the planets in more detail, particularly their mythological associations, you gradually build up a series of interpretations of planets in signs and houses, giving you a thorough preparation for full chart interpretation. 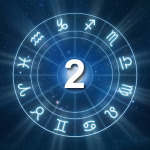 We’ll also be looking at celebrity charts to increase your experience of analysing a birth chart. This module deepens your understanding of birth charts and provides a thorough preparation for Fluency in Chart Interpretation in Foundation 4.